The first County Fair in the metro area runs Thursday September 14 through the 17th at the Claremore Expo. 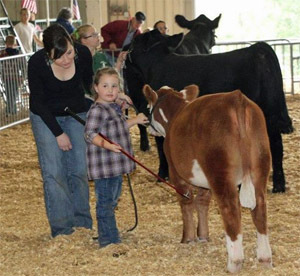 This Rogers County Fair has presented agricultural industry insights for 100+ years and now includes everything a large state fair would with vendors, carnival rides, fair food, talented entertainment and much more. At the fair you find the traditional gardener exhibiting alongside the younger generation of FFA students and 4-H groups; families growing record setting fruits and students showing premium livestock; agri-science projects displayed across from home canned jellies. Hance Pyrotechnics kicks off opening night of the Fair with a fireworks show. The show will start at approximately 8:15 pm. The fireworks show has received rave reviews and can be seen from areas as far away as Catoosa and Owasso. The County Square at the Rogers County Fair provides a unique opportunity for the local agricultural district as vendors gather and display their talents and passions. 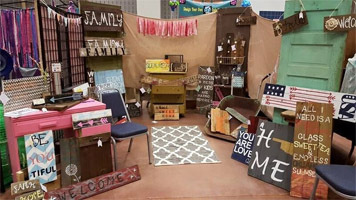 This rustic inspired marketplace features an eclectic selection of clothing, jewelry, repurposed furniture, home décor, home-made treasures, original art, and delicious consumables. The displays will make you feel like you are walking through a living Pinterest board. With a new look and a new feel, the County Square is a must shop during the fair. The carnival offers a variety of rides for tiny tots and big kids. Carnival rides and midway games will be open Thursday through Sunday. Prices are very affordable; you can purchase wristbands for all you can ride each session or individual tickets. 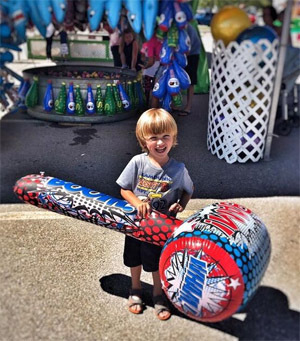 Take your chance to win a prize at various midway games! Entertainment at the fair is endless. America’s favorite stunt dogs are back in action! This must see show will entertain people of all ages. From back flips, handstands, big air stunts, to amazing tricks; these “All-Star Stunt Dogs” are thrilling. Kids love the Lil’ Buckaroo Barnyard. Inside the Barnyard the kids can color the Monster Mural, see Farmer Tom as he tells stories and sings songs from the farm, or even pick out their very own pumpkin in the pumpkin patch, provided by Shepherds Cross, to take home and decorate. New this year, the Cantina is going to be the place all adults 21+ will want to be hanging out. This entertainment tent offers adult beverages, music, and a place to catch up with your friends. 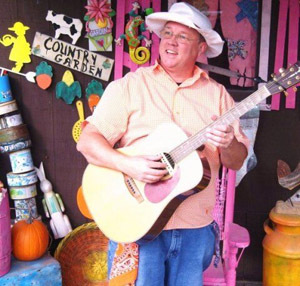 Friday you can two-step the night away with James Muns and special guest Mark McClurg and Saturday night will be tons of fun with dueling pianos by Tom Basler & guest. What is a great county fair without a variety of fair food!? Funnel cakes, corn dogs and cotton candy are staples of every fair. The Rogers County Fair also offers a variety of food trucks on-site with everything from homemade barbecue, southern home style, bacon everything, street tacos and more. If you feel the need to run off all of that fair food you can join the Rogers County Fair 5k. The race will take place on Saturday, September 16th at 9 am. We will start and finish at the Claremore Expo Center with Tatur Racing professionally timing the event. Don’t worry, you can run or walk. Sign up online, view the course map and check out the awesome logo for the run! All the information is available on www.rogerscountyfair.com/5k. 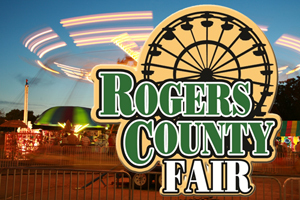 The Rogers County Fair will be held at the Claremore Expo Center September 14-17th. The County Square is open to the public 9 am to 9 pm Thursday, Friday, and Saturday. Livestock shows will take place in the barn all day Thursday thru Saturday. The carnival is open Thursday 6-10 pm; Friday 6-10 pm; Saturday 1 pm-5 pm & 6-10 pm; Sunday 1-5 pm. For more information visit www.rogerscountyfair.com. This entry was posted in Local on September 8, 2017 by admin.